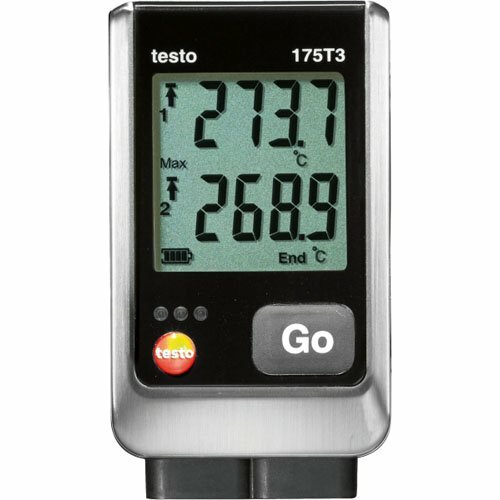 The Testo 175 T3 can monitor and record temperatures in two locations. The Testo 175 T3 has two interfaces for thermocouple probes (Type K and Type T). Using the Testo 175 T3 and the versatile pipe clamp probes, you can take targeted measurements of the flow and return temperatures of individual radiators or other heating elements, in order to identify heating and cooling issues.